Home Jaydev Unadkat Jaydev Unadkat back in India’s scheme of things. Jaydev Unadkat back in India’s scheme of things. India might look at Jaydev Unadkat in the upcoming ODI series against Australia in their pursuit to strengthen their bench strength in the case of injuries to their mainline fast bowlers. In addition to Jasprit Bumrah, Mohammed Shami and Bhuvneshwar Kumar, India have dabbled with Khaleel Ahmed to have a left-arm pacer in the mix. If the selectors decide to give Unadkat a go, at least one man won’t be surprised Wasim Jaffer, India’s premier domestic batsman, reckons Unadkat is the best left-arm seamer in the country. He has matured as a bowler, he doesn’t give easy balls to hit. Doesn’t allow to score, achhe areas mein bowling karta hai. He has started to reverse swing as well. Pressure bana ke rakhta hai all the time, the quality of good bowler is that they don’t give loose balls. 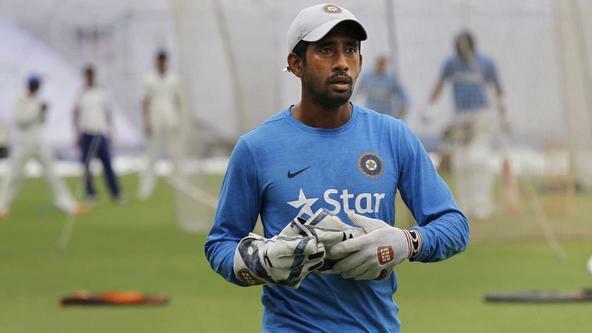 He is the best at the moment,” says Jaffer, who played Unadkat in two Ranji games this season. With Australia touring for five ODIs and two T20s, Unadkat might get an opportunity as India seek to test their reserves. India bowling coach Bharat Arun has talked about the value of a left-arm seamer — and it was one of the reasons Khaleel was given a run. There aren’t many places up for grabs, especially with three seamers and two spinners in Kuldeep Yadav and Yuzvendra Chahal already in the squad. Also, the presence of Hardik Pandya and Vijay Shankar as seam bowling all-rounders further strengthens the bowling attack. But considering India have tried Khaleel in the recent past, it won’t be a surprise if Unadkat gets an opportunity in the Australia series as they try to develop their bench strength to cover for any injuries to their premier bowlers. Unadkat starred in the Ranji Trophy, taking 39 wickets from eight games. The last 18 came in knock-out games against teams like Uttar Pradesh, Karnataka and eventual champions Vidarbha. Unadkat believes that his mindset has changed and he has stopped thinking about selection. After being sold for Rs 11.5 crore to Rajasthan Royals to become the most expensive player in the last IPL season, he had talked about how he put too much pressure on himself and how that hurt his performances. He went back to the drawing board and has worked on his mind and the game.